C# remains in high demand. It consistently ranks as one of the most popular languages in various indexes. According to Dennis B. Moore’s research, C# is the 5th most demanded language on Dice.com, and it’s been growing over the past year. Also, C# is one of the languages that can be used to program Silverlight. And while Microsoft may be sending mixed messages about the future of Silverlight, the job market isn’t. Silverlight demand has grown by 12.6% on Dice.com in the past three month. And since Silverlight is the framework used for Windows Phone 7, C# developers will have a jump on building native applications for that platform as well. C# 4.0 was released last year. Many of the free resources we found online were written for legacy versions of C#, but many of the lessons will still be applicable. 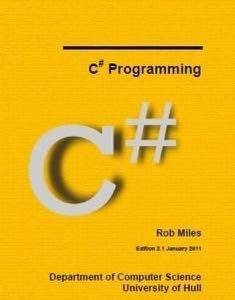 C# Yellow Book by Rob Miles is a free introduction to computer science using C#. It’s used as the textbook for the first year programming course at the Department of Computer Science in the University of Hull. Some of Miles’ other publications on C# are noted below. C# Essentials from Techotopia is an e-book available in HTML for free. If you want it as a PDF or ePub format it will cost you $9.99. It starts with installing C# and Visual Studio and works its way up into more advanced programming topics. C# from Java by Rob Miles is a free 24 page PDF for Java developers who want to learn C#. Like the C# Yellow Book, also by Miles, it is published by the Department of Computer Science at the University of Hull. Programming C# for Beginners by Mahesh Chand is an introduction to C# intended for programmers with a background in object oriented programming. Free registration is required to download the book. It’s available as a Microsoft Word document only. It was written with C# 1.0 in mind, but has an Advanced Topics section covering newer features of the language. .NET Book Zero: What the C or C++ Programmer Needs to Know About C# and the .NET Framework by Charles Petzold is a free 267 page free e-book for programmers with experience in C or C++. 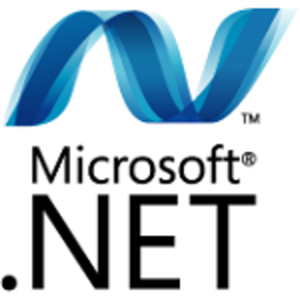 It hasn’t been updated since January 2007, before C# 3.0 was released. C# School by Faraz Rasheed is a free 338 page PDF covering .NET and C#. It apparently covers C# 2.0. If all else fails, you can always check out the C# Language specification. Windows Phone Blue Book is yet another free e-book from Rob Miles and the the Department of Computer Science at the University of Hull. This one covers Windows Phone 7 development with C# and Silverlight. It’s meant to follow the C# Yellow Book. Data Structures and Algorithms with Object-Oriented Design Patterns in C# by Bruno R. Preiss covers… well, just what it says it covers. There are several versions of the book for different languages, including Java, Python, Ruby and Lua.